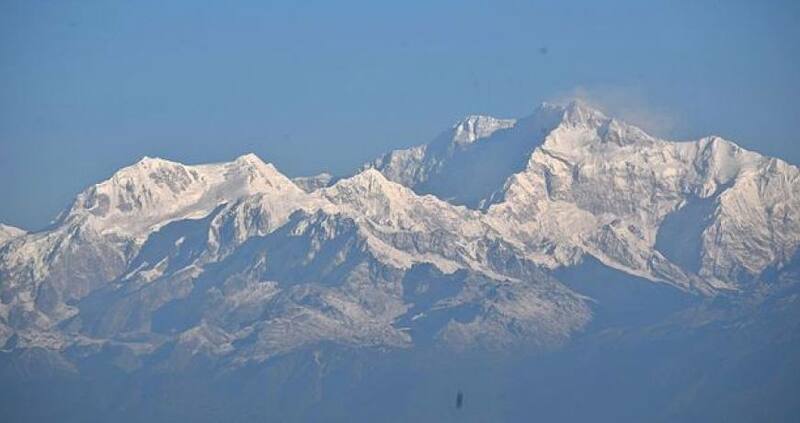 Mount Kanchenjunga, is the third highest mountain in the world and lies partly in Nepal and partly in Sikkim, India. 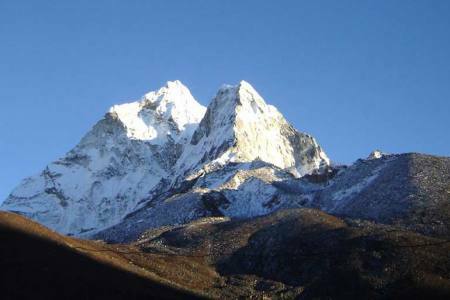 It rises with an elevation of (8,586m/28,169 ft) in a section of the Himalayas called Kanchenjunga Himal that is limited in the west by the Tamur River, in the north by the Lhonak Chu and Jongsang La and in the east by the Teesta river which lies about 125 km east-south-east of Mount Everest. 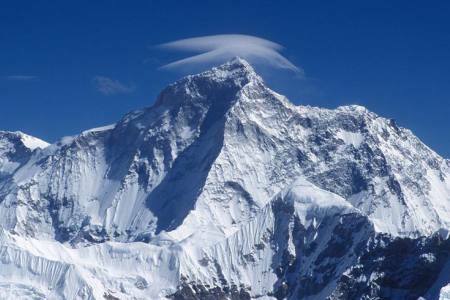 It is the second highest mountain of the Himalayas. 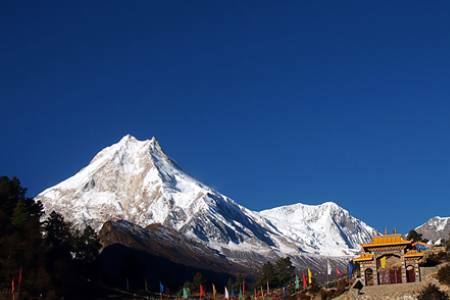 Three of the five peaks Main, Central and South are on the border between North Sikkim and Nepal. 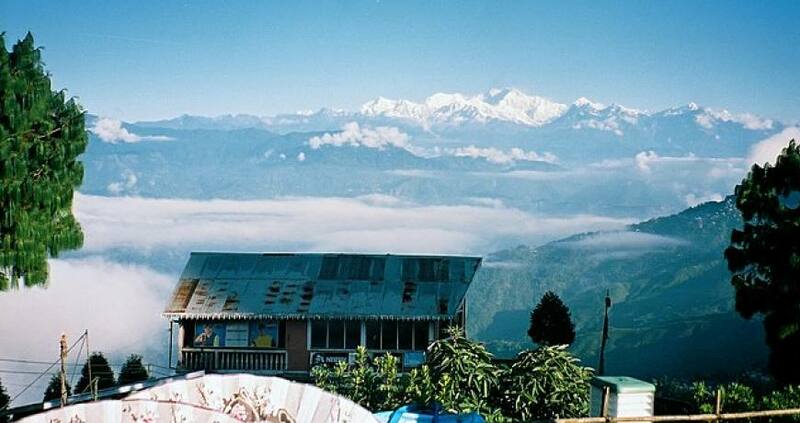 Two peaks are in Nepal's Taplejung District. 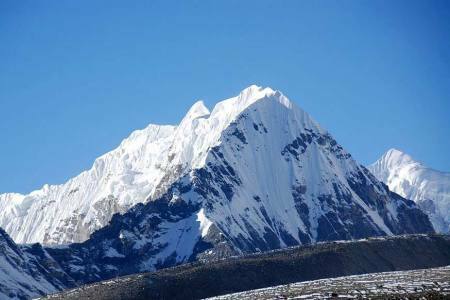 Untill 1852, Kanchenjunga was assumed to be the highest mountain in the world, but calculations based on various readings and measurements made by the Great Trigonometrical Survey of India in 1849 came to the conclusion that Mount Everest, known as Peak XV at the time, was the highest. 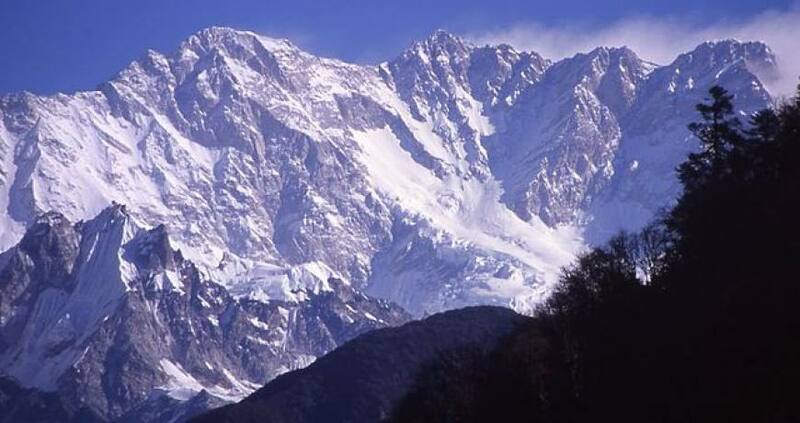 Allowing for further verification of all calculations, it was officially announced in 1856 that Kanchenjunga is the third highest mountain in the world. 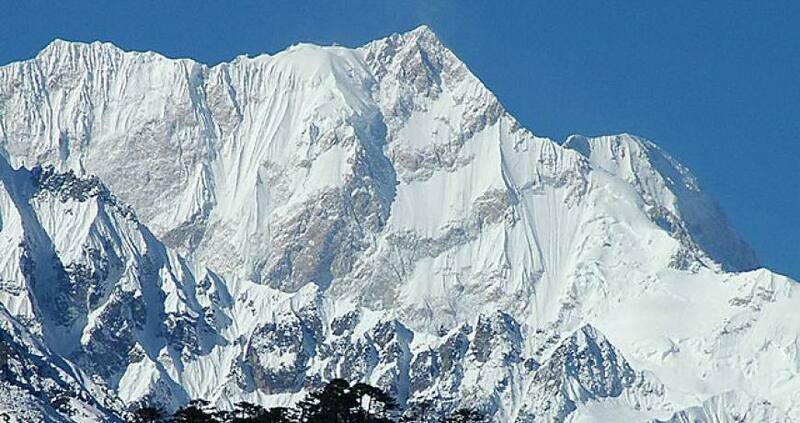 Kanchenjunga was first climbed on 25 May 1955 by Joe Brown and George Band, who were part of a British expedition. 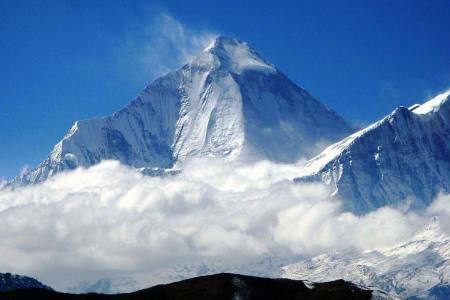 They stopped short of the summit in accordance with the promise given to the Chogyal that the top of the mountain would remain inviolate. 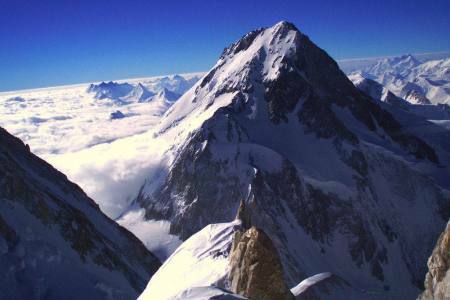 Every climber or climbing group that has reached the summit has followed this tradition. Other members of this expedition included John Angelo Jackson and Tom Mackinon. 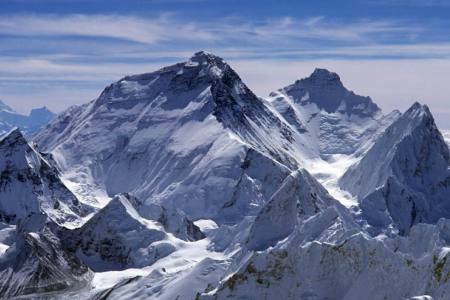 The expedition is the most easterly of the great 8,000 meter peaks of the Himalaya. 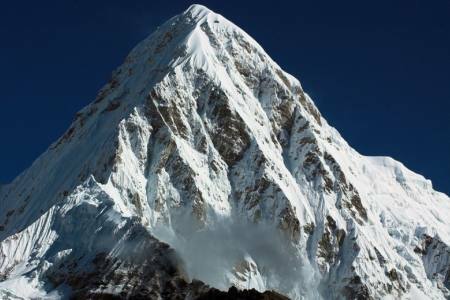 The climb is technical, even along the normal route but it is extremely interesting to climb with technical and intricate mixed rock and ice climb to the North Col followed by a not too technical steady 1500m ascent to the summit. 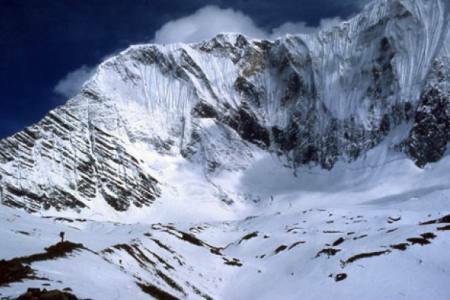 The section past North Col in Kanchenjunga expedition is exposed to the weather. 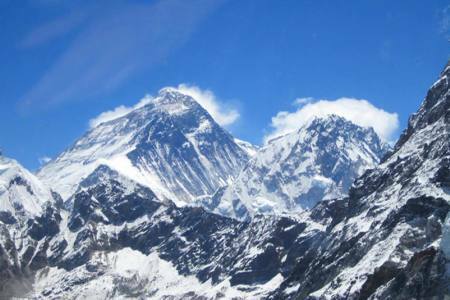 The views are stunning both from the base camp as well as during entire climb of this climbing higher peak. 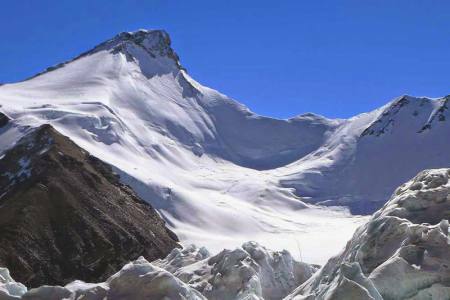 Kanchenjunga expedition is an enormous mountain mass, and many satellite peaks rise from its narrow icy ridges. 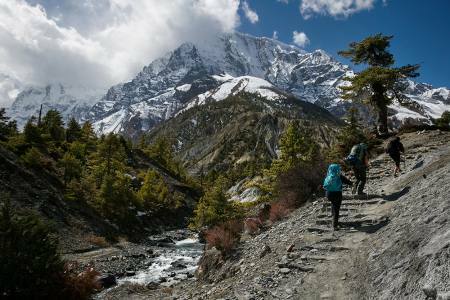 Day 43: Take a flight from Suketar to Biratnagar (72 M/236ft) and again connecting flight to Kathmandu (1,350 M/4,429ft), (Lodging + B). 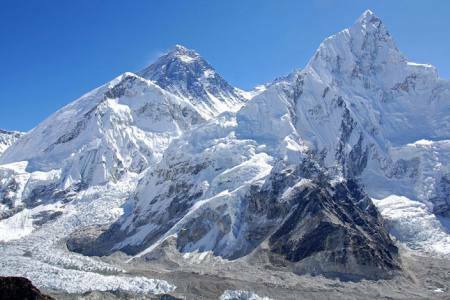 Day 43Take a flight from Suketar to Biratnagar (72 M/236ft) and again connecting flight to Kathmandu (1,350 M/4,429ft), (Lodging + B).